Welcome to Grow In Love! Our school is a VERY happy place. In P2 we learn about ourselves, each other and the World Around Us. We also learn more about God every day. 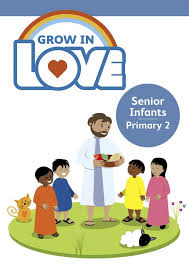 Mrs Russell and Miss O'Neill show and teach us how to 'grow in love' with God and one another.